Small or midsize business has to face lots of challenges to survive in the market against the brand strength of the large businesses. Every SMBs dream of getting ahead to the higher position. This dream can come true using the cloud. Cloud if intelligently used has the ability to change the shape of the business. The only requirement of cloud computing is an internet connection and an external host that enables access to data anytime, anywhere without considering any physical limitations. Cloud CRM has expanded the extent of the SMBs as it allows them to adopt a level of computing power, IT infrastructure and internet security which was earlier available only to the business giants. SMBs are now approaching towards competing and taking over their giant rival. 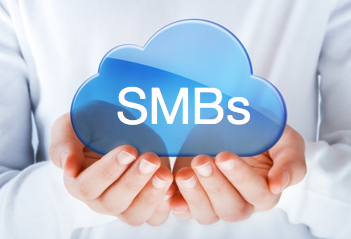 Nearly 65% of the SMBs are switching over to the cloud. Here are the best ways how cloud empowers the SMBs to achieve success against giant competitors. Cloud computing helps to reduce the expenditure while improves financial efficiency. Virtualization of your information infrastructure highly reduces the cost of hardware. Less hardware will result in the requirement of fewer people for its maintenance. One of the greatest cost reduction is disruption protection. Using the cloud, all the accidental recovery, and other backups are managed and maintained by the provider. 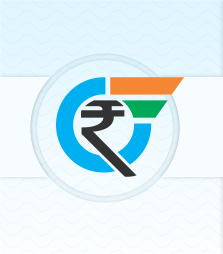 Most service provider ensures upgradation of your services regularly as a part of the subscription. So the cost of upgradation is also reduced. Cloud CRM provides more efficient and effective services to the customers enabling the SMBs to tailor changes in the business as all the processes are streamlined and the client information is easier to acquire. This in turn helps customer retention and increase customer loyalty. Along with customer experience, Cloud helps to increase employee satisfaction. Cloud CRM help expedite the workflow, collaboration, project progress, performance and offsite working of your employees. This will ultimately help by improving the process and making the employees more productive and committed to the job. Cloud allows employees to work more through home working and hot-desking which leads to a happy and more productive workforce. With the increasing trend of mobile devices, the majority of the employees are constantly using their own mobiles. By providing easy access of files to the employees, SMB teams can take the fundamental advantage even when the employees are not there in the office. Nowadays many SMBs are implementing the Bring Your Own Device (BYOD) policy in the business where the employee can use his own smartphone or tablet. The cloud makes it easier and more safe allows the employee to access data and respond quickly and more effectively from anywhere. SMBs can address growth opportunities and take advantage of new trends using Cloud CRM. If there is a requirement of extra storage space or adding of new software, the cloud allows simple and fast implementation without any complicated hardware changes. Using cloud CRM the number of users can be increased or decreased according to the changing market trends. Businesses using cloud services can integrate the key functions with cloud-based service providers to maintain data security. Cloud enables you as an SMB to smartly deal with customers and also helps to maintain the customer intimacy via Cloud-Based Customer Relationship Management (CRM) tool. With the help of cloud CRM, all the customer data is easily accessible to your sales, marketing and customer service teams regardless of place and time. They can instantly access the buyer information and critical prospect, their needs and preferences in their previous interactions and other key information stored and organized in CRM database. The data is a compact place and can be easily used for email, SMS, file share and sales and marketing automation applications. The cloud is making the way for SMBs to give a tough competition and achieve rapid success. The cloud CRM provides a profitable way to improve efficiency and increase revenue.